I often joke about living out in the sticks. And while it’s true that seeing a tractor of some sort chug up our hill is a common sight and our next door neighbors have raised a cow on their 2 acres of land, we really don’t live that far out in the country. If you head one way down our road, you’ll hit a grocery store and Wal-Mart within 2 miles- how rural can that really be?! 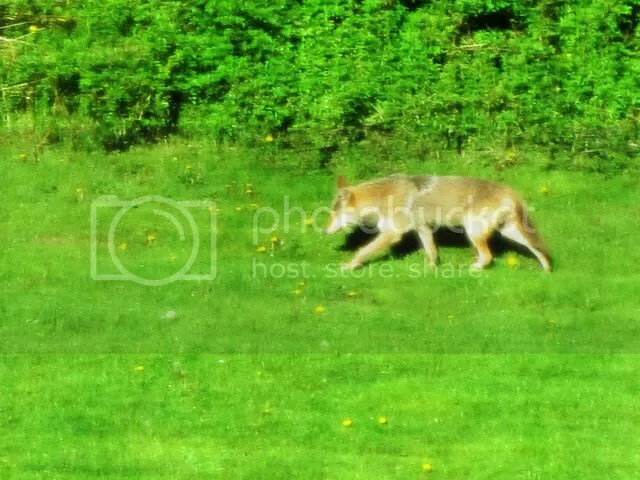 Judging by the visitor sunning himself in our backyard this morning, we’re rural enough! 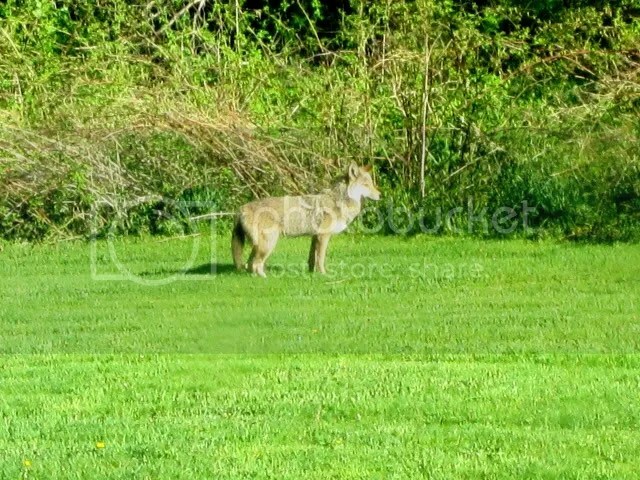 We’ve lived here for almost a decade and we’ve heard the coyotes plenty of times, but I’ve never seen one up close. We visited with a few of our neighbors today and it turns out, this guy has been making the rounds and we seem to be one of the last on our street to be honored with a visit. See you- no need to hurry back! While I don’t mind the occasional visits, I’m very, very thankful our cats stay in doors and our dog is too chicken to pick a fight.